Congrats! You just got some new followers to like your companies Business Profile on Instagram… Nice! The only problem is you don’t just want new followers; you want to make sales! Your customer sees your product and oh man… there’s no action button for him or her to buy it! For individuals who don’t set up their social media correctly, forgetting to put an action button on your post may be the difference between having a viewer or potential sale. 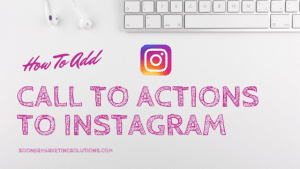 The purpose of this post is to inform you on how to add Instagram action buttons to your business profile. By doing this, you open many opportunities and make it easier for your customers to purchase your product, book consultation, or request a quotation from your business. By adding a call to action, you provide your customers and viewers a potential opportunity to interact with you and allow them to take the first step to know more about you and your business. Therefore, without further ado, let us run through the steps to help you set up your Instagram action buttons. Select the action button you want to add to your business profile. Go to your business profile and tap (iPhone) or (Android) in the top-right corner. Tap Edit Profile > Contact Options. Select the call-to-action that you want to remove on your business profile and delete it. What Action Buttons Are Available on Instagram? 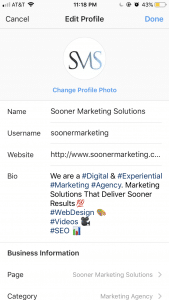 Instagram has started making new action buttons to all business profiles. Some accounts may get held up in a lag, but most business profiles now have access to this feature. Why Should I use Call to Action Buttons? Well, plain and simple let’s jump into the facts. According to statistics, it is shown that nearly 200 million daily active Instagram users visit a business profile each day. In addition, around 150 million Instagram users have daily conversations with businesses who have an excellent call to action, well-constructed business profile, and business message response time. Subsequently, it is quite evident that customers do their research before buying from a business. This essentially means that by implementing a call to action on your business profile posts you are far more likely to turn customers curious about your business, into a sale. In addition to making sales, by putting a call to action, it encourages your customers to take the first step. Rather than chasing potential clients, it is much easier to deal with matters when the clients are reaching out to you. It’s a win-win for both sides! 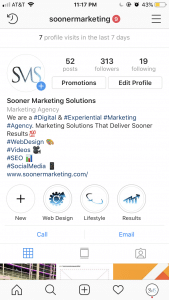 Simply adding the action button to your Instagram profile will likely drive some traffic and conversions for your brand. If you want to encourage more clicks and actions, however, you’ll want to create awareness and urgency around the ability to use these buttons. Add a Call to Action in some of your post captions to let customers know they can book or reserve directly from your Instagram profile. Use Instagram story posts to remind viewers to visit your profile and tap on the action button to make their reservation or order now. Put a short Call to Action in your bio description to encourage visitors to click. Offer a coupon code exclusively for Instagram users to include when they book. Create urgency around ticket sales when promotion periods are ending, or ticket sales are expiring. As with any conversion campaign you use on Instagram, you’ll want to monitor and track the performance of your action button. You want to find out how many people clicked through using your action button and see if certain calls to action or campaigns on your account led to increases in those clicks or traffic. You’ll need to rely on the third-party tool to show you traffic generated from Instagram. There should be metrics within the apps that provide these details. For instance, with Eventbrite, you can view the Traffic from the Promotional Tools section to see how many visits came from your Instagram account. Is it worth it to add Action buttons? In short, absolutely. A call to action is imperative for any business transaction. By putting an action button in the face of your customer you make it convenient for both you and the consumer to purchase your products or contact you directly. All in all, at Sooner Marketing Solutions we don’t just create random posts and upload meaningless stories. Instead, we do the research and get inside the customers head. We do our best to make it convenient for your customers and utilize the call to action buttons to help you manage and convert viewers into sales. At the end of the day having a call to action button is crucial. There is no point to be in business unless you’re in it to make money and we firmly believe that not only will we help you get more followers, but instead, we can get your followers to take that initial first step through a means that is conducive to relative ease and convenience. So if you’re interested in taking your business to the next level contact us today and let us tell your story.